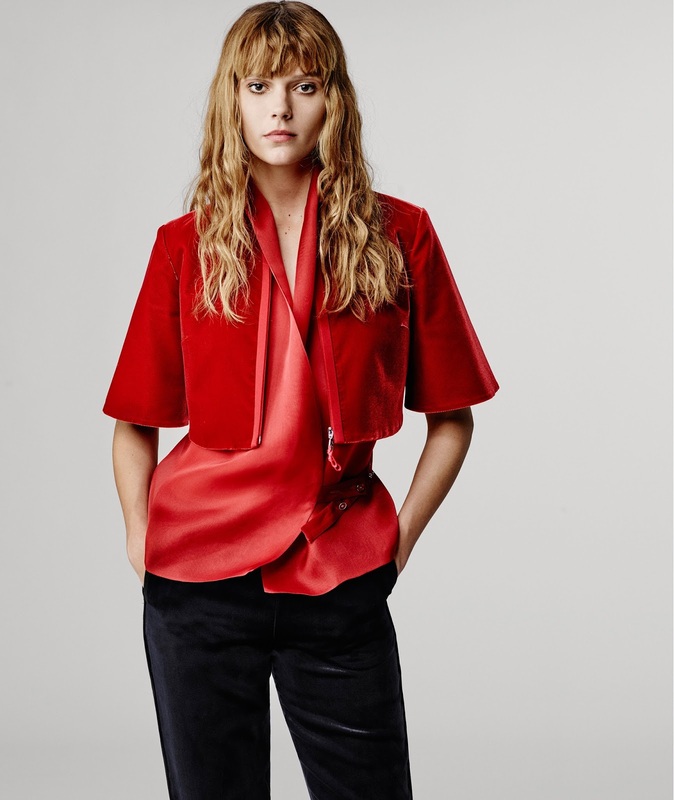 Bohemian Rhapsody, the two words that Giorgio had dubbed his latest collection for Pre-Fall. With this description I was perhaps expecting a Chloe/Stella McCartney vibe, but the collection was actually predominantly tailored - which is of course what Giorgio Armani is famous for. I absolutely adored this collection - although tailoring is often associated with a masculine style, I found this collection so fresh. It really was a breath of fresh air for me. As mentioned in my last post for Emporio Armani, I haven't actually wrote about the Armani Fashion House before. So, this Pre-Fall is my first inspection of the brand - and this AW16 Runway shows will be the first I have seen. So it is exciting and liberating to write about and discover other brands. Having said this, I had heard of Giorgio Armani before. How can we escape his beautiful perfumes for a start? His name is perhaps a household one - even if you aren't interested in the industry. I see where Giorgio's muse was with this collection when he described it as Bohemian. There were of course long pleated floral dresses, draped in pastel colours and long sleeved. There was a camp dress with pleats, complimented with a beautiful sky blue colour really embracing a summer feel to lighten up the Pre-Fall collection. A maxi-length pastel pink dress decorated with pastel pink and blue embroidery also presented his influence of boho chic, but of course, the collection was very tailored. Having said this, I felt that Giorgio had abit of fun with the tailoring. Making a comparison to previous collections, it definitely was much more relaxed and wearable. He was taking the classic business suit, into a daily look by cropping the trousers, adding some patterns and throwing in some edgy pieces to create the perfect pre-fall collection. A particular favourite piece of mine was the white leather jacket with mock-crock effect black sleeves; paired with a midi length flared hemmed skirt and tights. The cropped cigarette trousers gave the whole collection a professional and sophisticated push - which I really did love, as personally for me sophistication is something I love with my own personal style. The colour palette was fairly minimal which was expected for a Giorgio Armani collection but the hints of colour just made the collection perfect.